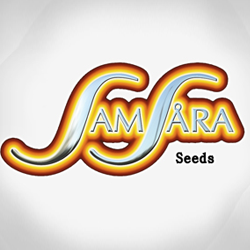 Samsara Seeds conduct their business under the objective to select and conserve the major genetic lines of Cannabis in existence. They say that if they are lucky enough, they hope to preserve the most appreciated and popular genetics distributed in the world. They follow a very strict and careful process when producing their feminised seeds and produce feminised seeds with 99.88% assurance. They store their cannabis seeds at a constant temperature and low humidity. Finally, their process of selection is very rigorous as well. They inspect and hand pick all the seeds to order one on one so they can ensure that they are sending their customers the most fresh seeds with the most vitality.